The character may have started as an attempt to appeal to more female readers by providing a female counterpart to Batman, but Batgirl has developed into a pretty solid character in her own right. To be clear (because this is an issue with many DC characters), I am talking about Barbara Gordon as Batgirl. She has been through quite a bit, including spending some time paralyzed and in a wheelchair, during which she took on the name Oracle and still helped Batman to fight crime. She has become an invaluable member of the ever-growing Bat-family, and in a world that is constantly drawing the attention of more and more female fans, both young and old, Batgirl is a great role model. She also happens to be my youngest daughter’s favorite. One of the most interesting things about the history of comic books is how other comic book publishers were purchased by the big two and their characters now became part of those two universes. Batman, Superman, and Wonder Woman all started under different publishers. 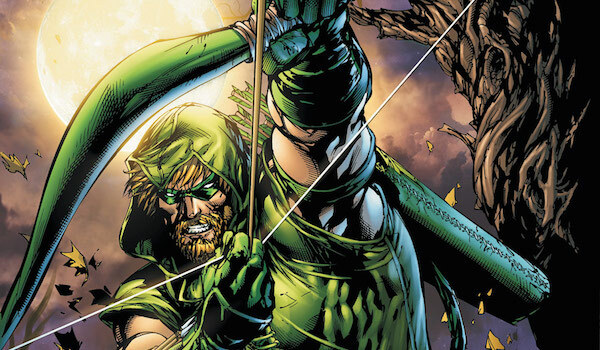 Green Arrow was also published by a different company, and he was created to compete directly with Batman. That’s why Oliver Queen and Bruce Wayne, on the surface, seem like very similar characters. Green Arrow was supposed to be a mix between Batman and Robin Hood. Since that time, however, he has grown into a character who stands on his own. He is very different from Batman. One major difference is that Batman has his one rule about not killing. Ever. Green Arrow shoots people with arrows and he is an incredible shot, which means he has killed before, and probably will again. Personally, I am not a huge fan of the Dark Knight, but I really like Green Arrow. 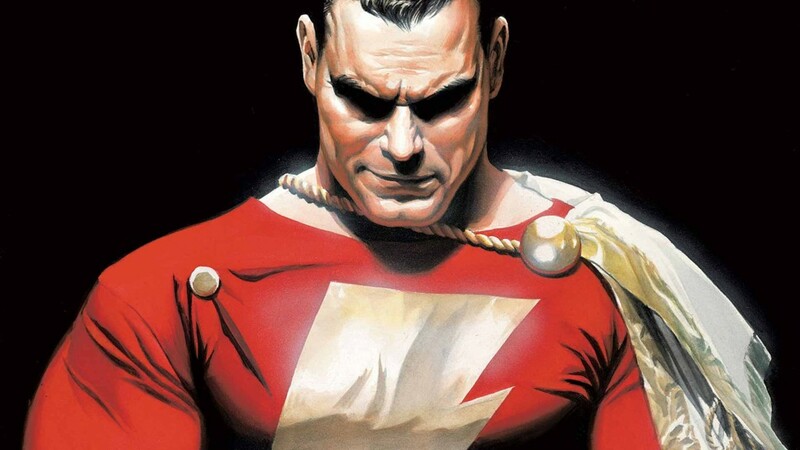 Originally called Captain Marvel, Shazam originated as competition under another publisher for Superman. Although their power and skill set is pretty similar, there are some major differences. Whereas Superman’s powers come from his alien DNA, Shazam’s powers come from magic. Another big difference is one of my favorite things about Shazam. When he is not Shazam, he is a little boy named Billy. He only becomes Shazam when he says the magic word. It changes him physically, and he does have the wisdom of Solomon as Shazam, but overall, mentally, he is still Billy. He is basically living out all of my boyhood dreams. He gets to have all the powers imaginable and hang out with the Justice League after school. That is awesome. I always thought the Martian Manhunter was just really cool. I think he is one that is often overlooked, despite having an impressive set of powers. 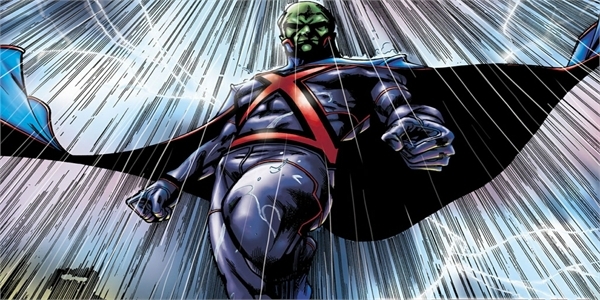 In the New 52, as they’re putting together a Justice League America to take down the original Justice League, they recruit Martian Manhunter to take on Superman. Why? He happens to be one of the most powerful telepaths on the planet. Superman can’t do much against telepathy. Plus, he looks awesome. He is the last of his kind, which adds to his inner torture and makes for interesting stories. He is probably my favorite Martian. It’s either him or Christopher Lloyd. When I say the Flash, I mean Barry Allen as the Flash, although Wally West might be a close second for me as the Scarlet Speedster. 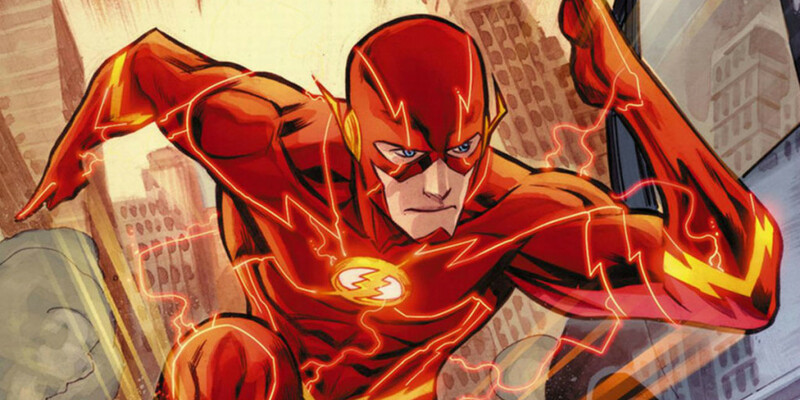 Barry Allen has done quite a bit to influence the DC Multiverse. In the 80s, he saved the whole Multiverse, supposedly sacrificing himself and being lost forever in the Speed Force. Just like almost all comic book characters, he got better, and returned to the land of the living, and incredibly slow. Later, in the Flashpoint storyline, his decision to save his mom created the splinter Flashpoint universe. This new universe helped him realize the error in his ways, and he tried to fix it, thereby creating the New 52 Universe. Plus, his suit is all red, which is my favorite color. Ever. When I say Green Lantern, you may be wondering which one. There are literally thousands to choose from; four from our Earth alone: Hal Jordan, Guy Gardner, Jon Stewart, and Kyle Rainer. In my mind, however, there is really only one, and then a bunch of his backups. Hal Jordan is THE Green Lantern, in my opinion. He is the master of will power. I always loved that his will power was pretty much his super power. He just knew how to control himself and his emotions and channel that through his ring. That is pretty cool. Now, DC has done plenty to ruin this character for me, including turning him into the super villain Parallax and making the monstrosity that was 2010’s Green Lantern movie. Despite all that, Hal remains one of my favorite characters. I know there is one person who is reading this post right now, wondering if Arthur, here, was going to make my list. He is probably the only person wondering that. Everyone else is probably wondering why Aquaman made the list. 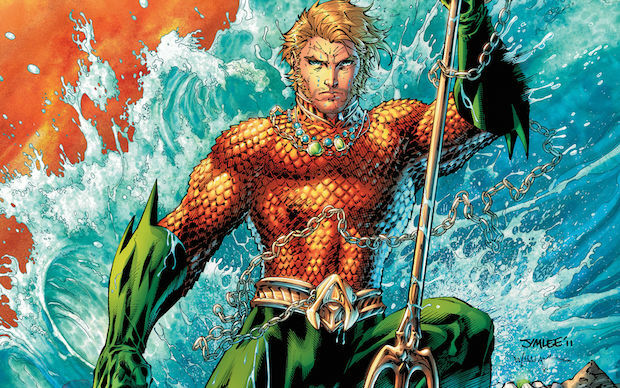 Here’s the thing: Despite what people might think, Aquaman is pretty powerful. He has super strength, like almost as strong as Superman. Infant he has almost all the essential super powers, plus telepathy that he can use to summon fish. In addition, he is the king of all the oceans, which is like 2/3 of the planet, and he does a pretty good job of keeping the folks in Atlantis from invading us and wiping us out. Then, in his spare time, he comes up to the surface and helps the Justice League protect the rest of us. He is actually pretty amazing, when you think about it. Plus, I used to have this little Aquaman action figure that would kick his legs when you squeezed his arms. I loved that toy. 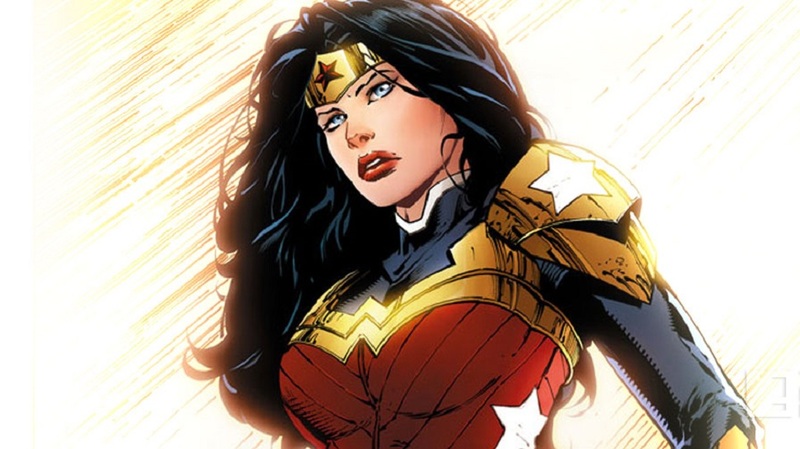 Wonder Woman is one the members of the DC Comics “Trinity.” With good reason, too. She is a strong, independent woman. She was not created as a spinoff of any male counterpart. She was created as a female superhero. Like Superman, she was pretty much the original, and she has stood the test of time. And why not? She can fly, has almost limitless strength, and a lasso of truth. She doesn’t need any men to save her, but she often saves them. I always thought she was a girl character so I never liked her as a kid. Now I am a little bit older, so Understand that it is ok to like girl characters. It doesn’t make you a wimp. Not being able to do a chin up makes me a wimp. Anyway, Wonder Woman is great. She is my oldest daughter’s favorite, and my kids affectionately call their mother Wonder Woman (which she totally is, by the way). There is where my list gets really subjective. In my opinion, as far as influence on the superhero culture as a whole and prominence, Batman and Superman are interchangeable, and should be number one and two on any list. I prefer Superman over Batman, so Batman comes in at number two. That’s not to sell him short. He is easily one of the most recognizable figures in pop culture. Everyone knows his origin story and his back story. Most people can probably name at least five of his villains. He is the definition of pop icon. He is also, recently, the glue that holds DC together. They have ridden this horse almost to death, but he just keeps going. I guess if it ain’t broke, don’t fix it. 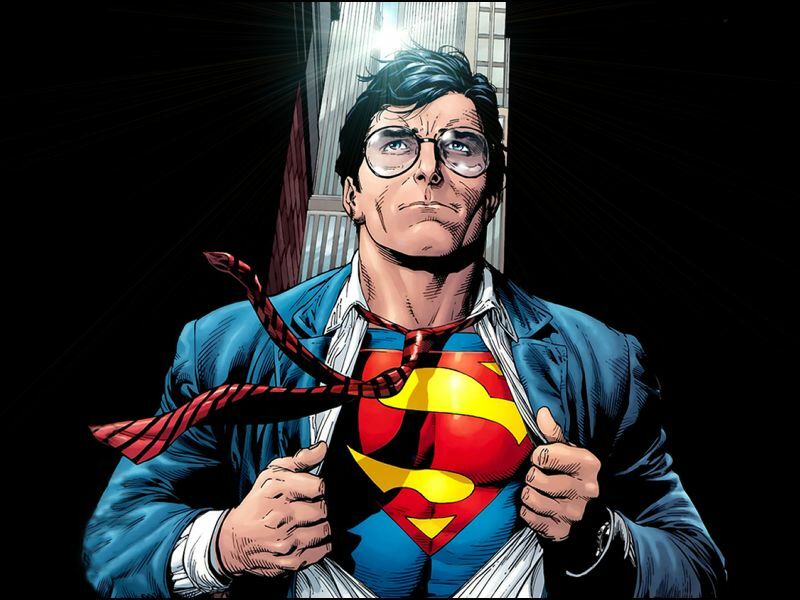 There is no greater comic book icon than Superman. His symbol and look are instantly recognizable throughout the world. I know all the digs against the character. I have been a Superman fan my whole life, so I have heard them all. It doesn’t matter. He is still the best there was, the best there is and the best there ever will be. He was the original superhero, the standard against which all other superheroes are measured. Yes, he might be a little old-fashioned, and every time DC tries to modernize him, it doesn’t work. I still like him, Besides just liking him, I think one has to recognize that when people think superheroes, they think Superman first. That might be changing with the growth and mainstreaming of our comic book culture, but I still think it holds true. For now. Because of all that, Superman is my number one. There’s my list. What did you think? Who did I miss? Who doesn’t belong on the list? Let me know in the comments below, or you can send feedback to me directly at thegeekymormon@yahoo.com. For more superhero listing fun, check out my previous post on the Mount Rushmore of Superheroes. If you liked this post, or any of our posts, don’t forget to share it on Facebook or Twitter or Reddit or whatever social media outlet you prefer.